Hola, barev, privet, yeoboseyo, kon’nichiwa, nǐ hǎo! Living in SoCal, like so many California communities, often feels like living everywhere in the world at once. But despite this diversity of language and cultures, it’s rare to find a wide range of communications campaigns and content that are translated into multiple languages. 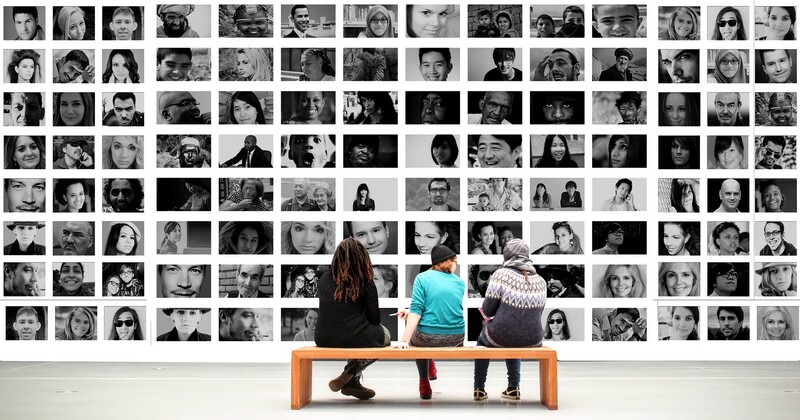 Yet frequently, social justice and advocacy work require communicating with multiple groups, and sometimes failing to provide content in the right language means failing to include important perspectives or reach key groups of people. In fact, even calling it translating isn’t quite right. To really meet different cultures and languages where they are, a successful campaign must focus on interpretation rather than just taking one word and finding the best approximation. Heads up — plugging your English content into Google Translate won’t fit the bill. Recently, RALLY helped close this communications gap through our work on a campaign fighting neighborhood gentrification and displacement. We collaborated with several community groups to generate multi-lingual collateral that armed local residents with information about advocating for community-first policies. Many of the places hit hardest by gentrification and displacement are communities of color and immigrant communities. Southern California has diverse and vibrant communities that speak many languages, but aren’t often reached by traditional awareness campaigns — because they’re usually all in English. RALLY wrote, designed, and translated outreach door materials into Arabic, Karen, Khmer, Spanish, Somali, and Vietnamese to communicate to locals about development without displacement and the tools they had to protect their communities. We’re sharing some tips and learnings from this rewarding but challenging process. 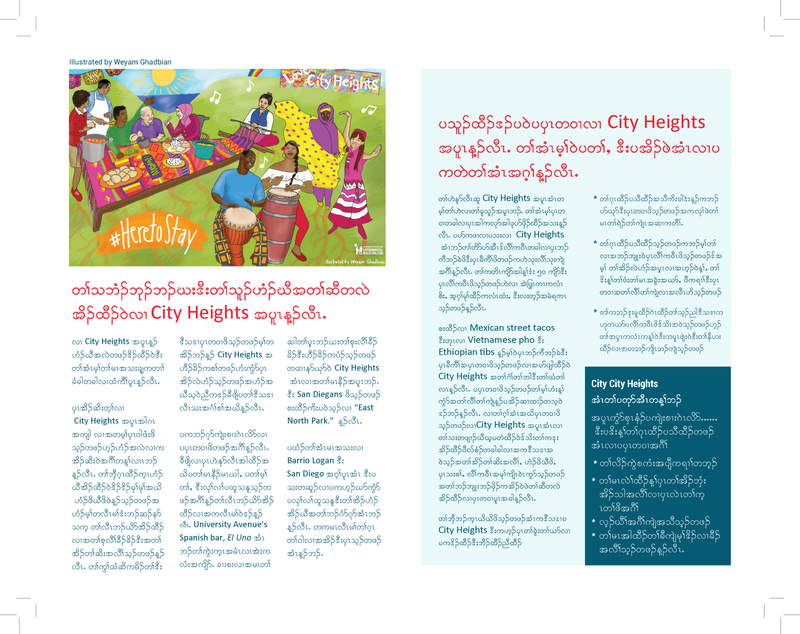 Brochure designed for City Heights area in Karen. Do your research for cultural competency. Before you get started on your translation project, understand that your goal is to create effective materials that consider the cultural nuances of the audiences you’re trying to reach. You’ll need to check your cultural blind spots. While you may have one set of words you’d like to use, conveying the sentiment of your campaign is far more important than the literal translations. It is important to have a sound understanding of relevant political or cultural references. At RALLY, we consider translation as more than technical and tactical, so we partner with interpreters to ensure that work is culturally relevant. Make sure you’re working with a translator or a member of the community in the target language. Languages have variances. Be sure to ask if there is a particular style or dialect that the community you are working with prefers to ensure that you reflect regional nuances. Double check with your translator what dialect they are using and be aware of cultural differences in wording choice. Run drafts by more than one person in the community who are fluent in the language to make sure that not only is it correct — it’s culturally sensitive. Door hanger designed for Long Beach area in English and Khmer. Technical or colloquial words and phrases don’t always translate properly. Certain phrases like job titles (“Community Organizer”) or terms like “gentrification,” “corporate development,” or “displacement” can be tricky for translators. There are often not words that directly translate from one language to another or that are widely used outside of the language and geo-political context of one country or another, so carefully discuss these discrepancies with the translator you are working with to accurately convey your message. While the above are just a few of the technical tips we have found work to help us communicate in multiple languages, our overall takeaway is to take your time and use the same care as you might when creating branding and content in English. Good translation is not a word-for-word transcription, but a method that utilizes the phrasing, tone, and context that embodies the culture you are communicating with — and therefore provides a clear interpretation of your message. Just because you have taken care to interpret your communications doesn’t mean you have done outreach. Equally, just because a group comes from a different culture don’t assume English won’t work. Our team consists of experts in political, media, and digital strategy. Get inside our brain: click here to sign up for the official newsletter. Learn more at wearerally.com. RALLY is an issue-driven communications firm that takes on sticky issues & finds a way to push them forward. Lessons from comms nerds who have seen too much.